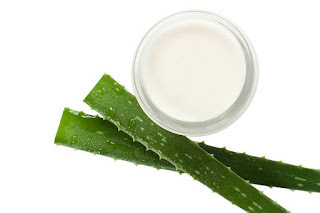 Aloe vera is known for its healing and skin-soothing properties. It is proven effective for allergies, irritation and acne. This plant can be easily processed to make a simple and effective facial mask to treat acne and soothe inflammation which causes redness. 1. Combine the aloe vera gel and lemon juice. Mix it well to make a thick paste. 2. Wash your face with warm water and dry off. 3. Apply the face mask mixture on your face. Leave it on for at least 15-20 minutes. Once dry, wash off the face mask. 4. Repeat the procedure everyday, to reduce acne. 1. Mix the alove vera and honey in a bowl. 2. Apply the mixture into the face or any affected areas of the body. 4. Rinse your face and the covered area with warm water to remove the mask. 5. Dry your skin using and towel. 1. Mix the ingredients to make a thick paste. 2. Apply the mixture on acne affected areas. 3. Leave it for 20 minutes until it becomes completely dry. 4. Wash the face with cold water. 5. You can use this mask at least twice a day.